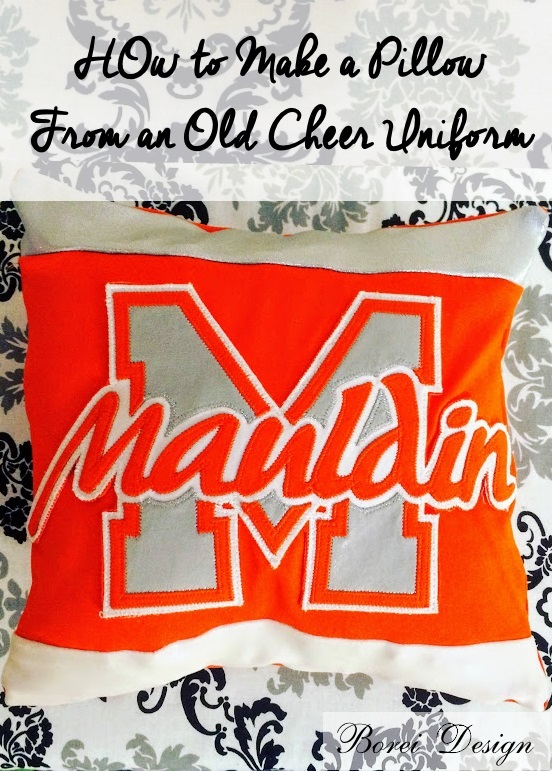 Have an old cheer uniform you would like to turn into a cute keepsake? Here's how to turn it into a cute new patchwork pillow. My youngest daughter is in high school and has been cheering with various schools and gyms since about third grade. Needless to say I have had to buys lots of uniforms that now just sit in her closet. 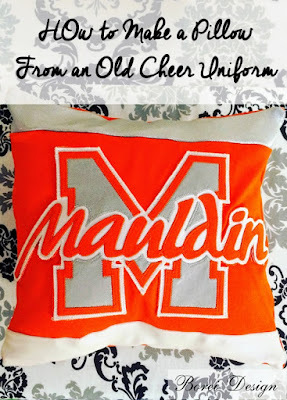 Recently one of her current coaches asked if I thought I could take their old uniforms and turn them into pillows to sell as a fundraiser. I LOVED the idea. I agreed to do it and plan on doing it with some of her old uniforms as well. 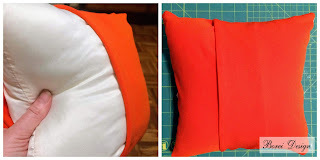 I opted to make a separate pillow insert and pillow cover so that the cover could be be washed and the insert could be replaced as needed. I decided on final size of 10 x 10 inches for the pillow because it was a size that I knew would still work for both the smaller and larger uniforms. Here's how I tackled it. 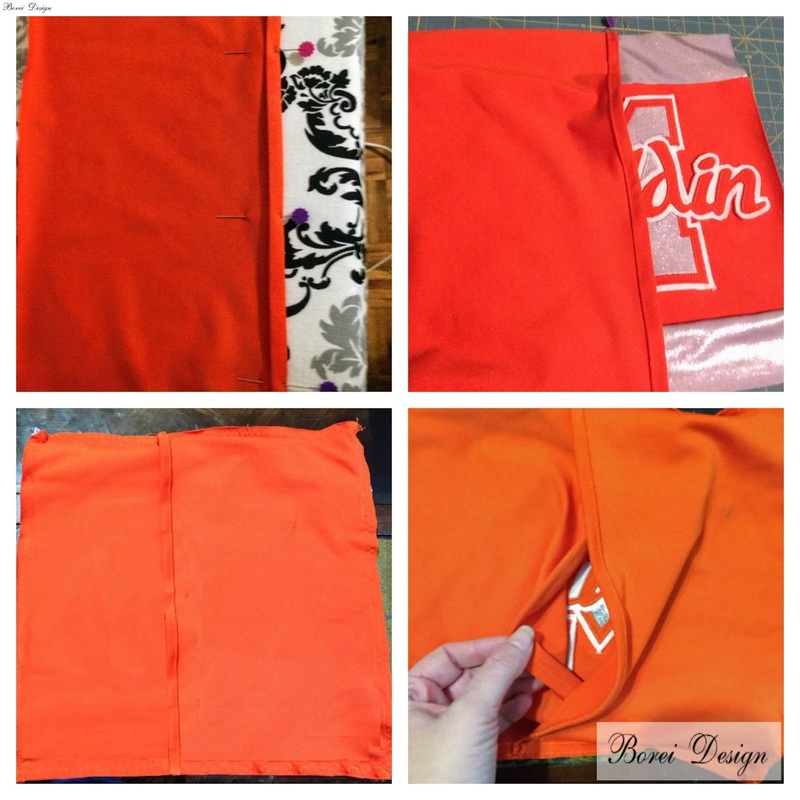 Step 1: Determine how much fabric you have to work with and plan accordingly. 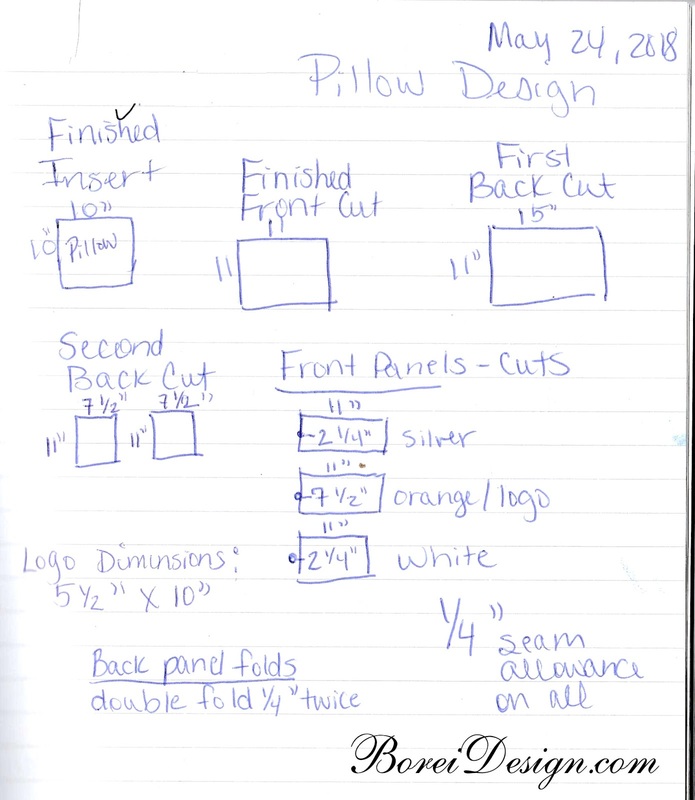 I sketched out my pattern and determined the measurements in my personal notebook. Measure how much material you have available on each piece of the uniform prior to cutting. You may have to adjust my measurements and the final size of your pillow if your uniforms are smaller than the ones I was working with. This is an actual scan of the page from my notebook. Hopefully you can read my handwriting, your uniform is large enough and you will be able to refer to it as you are cutting and sewing. Step 2: Create the center logo block of the front panel. I removed the logo from the front of the uniform top. I cut a 7.5 x 11 inch rectangle of fabric (from the uniform top) and centered the logo on top of it using fabric glue. I then sewed around the outside of the logo on my sewing machine to make sure the logo was secure. Note: I originally planned to just cut my front center block directly from the uniform top and not remove the logo. Unfortunately I didn't have enough material above the logo to cut a block with a centered logo. If you do, it will save you the work of removing and reattaching the logo. I also tried to just seam rip the logo off to save the fabric underneath. Unfortunately there was some type of glue underneath the logo that rendered the fabric unusable. 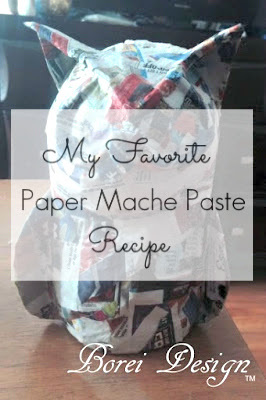 Yours may or may not have glue underneath. I ended up just cutting the logo out and reattaching it using the same glue and sew method as the manufacturer of the uniform. Step 2: Complete the front panel. Next I cut and 11 x 7.25 inch piece from the shorts and one from the sleeve as well. You can cut these pieces from wherever you need or want to. I sewed the the new pieces to the top and bottom of the center logo block using a 1/4 inch seam allowance. Step 3: Create the back panels. Normally when I make pillow covers, I will cut one large back piece (4 inches wider than my front panel, in this case, 11 x 15 inches) and then cut it in half to make the two back panels. That is the easiest way to do it. In this case, I was cutting from the uniform skirt and didn't have enough material to do that wide of a cut. I opted instead to cut one 11 x 7.5 inch panel from the back of the skirt and another from the front. Once I had the pieces cut I made a 1/4 inch double fold on the 7.5 inch side. I ironed the folds flats, secured with pins and sewed them down. Step 4 Finish the pillow cover. 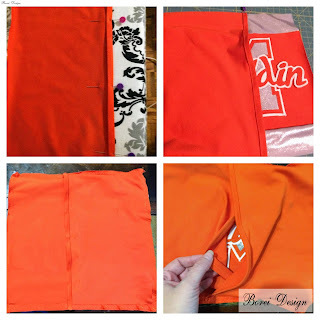 I pinned the back panels into place (over lapping) on the front side of the front pillow panel and sewed in place using a 1/4 inch seam allowance. I then turned it right side out and the pillow cover was done. 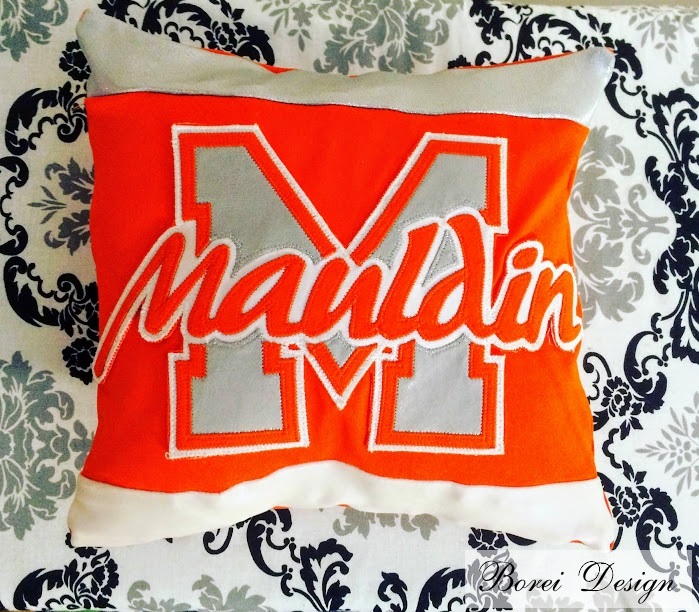 Step 5: Make or buy a pillow form. 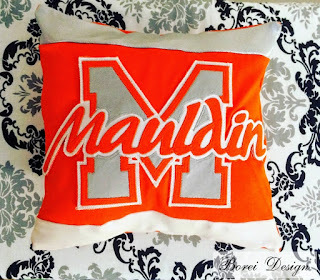 Once you finish the pillow cover you have one or two options. 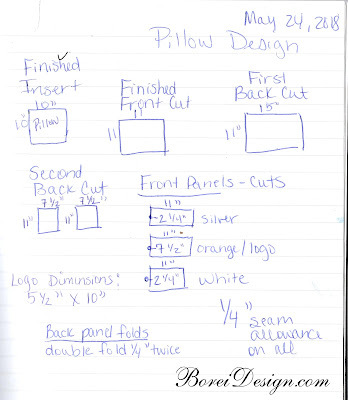 You can buy a pillow form/insert for the pillow or make your own. To keep costs down I created my own. I cut two 11 x 11 inch blocks from sheets. I then sewed together using a 1/4 inch seam allowance but left an small opening on the side to turn it inside out. Once I turned it out, I stuffed it and sewed it closed. 6. Add the pillow cover to the insert and enjoy! 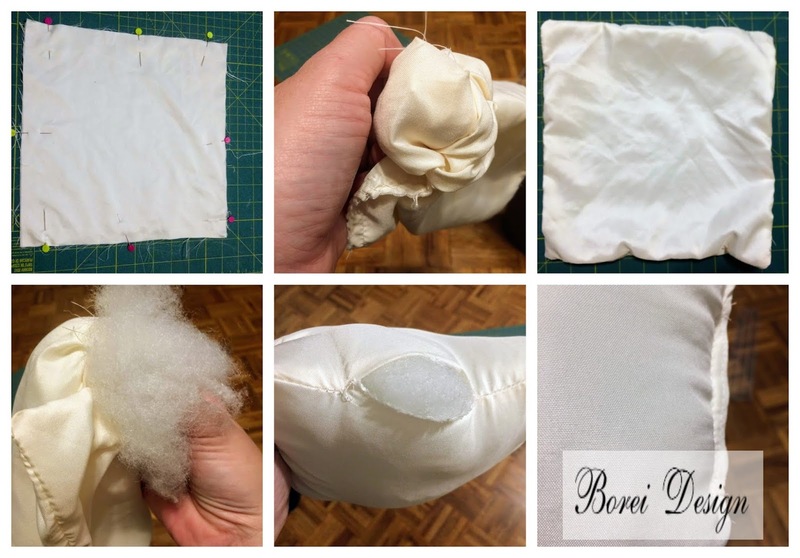 Simply tuck your pillow form inside the cover like you would most pillow shams and you are good to go! 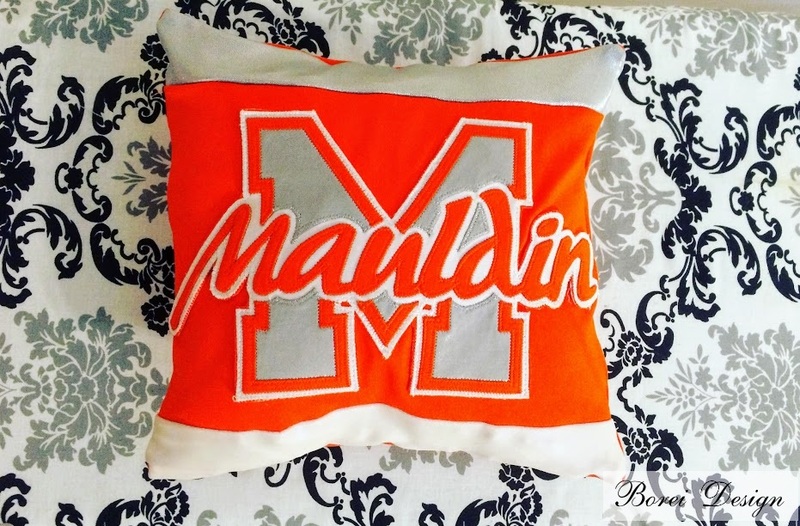 You know have a machine washable pillow cover and a pillow insert that can be replaced as needed. 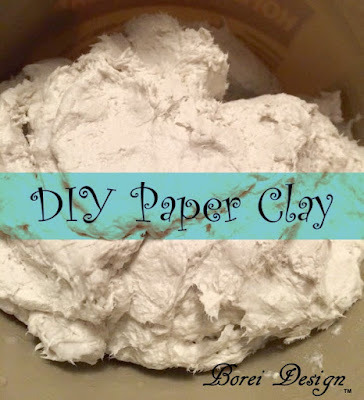 Hope you enjoyed this tutorial and until next time, happy crafting! 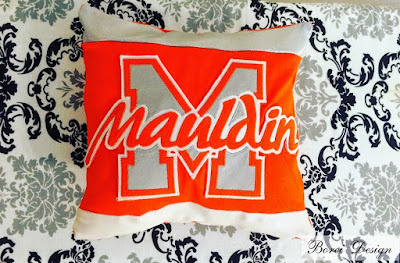 Pretty pretty pillows....The tutorial looks great too.